Up to 30% of your home’s energy is lost through the walls, floors and roof because of air leaking out through the walls, roof, and floors. If you’d like to keep some of that money in your pocket, call A+ Insulation, your Kansas City spray foam insulation specialists. Don’t let a day pass without contacting us because it could possibly mean lost savings on your energy bill. If you have your doubts that all the energy you consume is going to your daily tasks, let us offer our expert opinion. We can perform a free, no-obligation inspection of your home to identify the areas that need help. Then we can install our spray foam insulation to reduce energy loss and lower your energy bills. 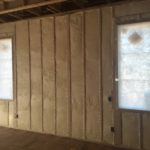 We are the spray foam insulation company Kansas City trusts. 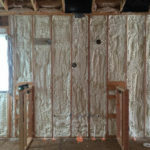 We didn’t expand into spray foam insulation; its application has been our expertise from the beginning. We maintain a clean work space, and leave your home as if we weren’t even there. In addition, we have project managers, on-site, to take you through a complete before-and-after explanation for your peace of mind. 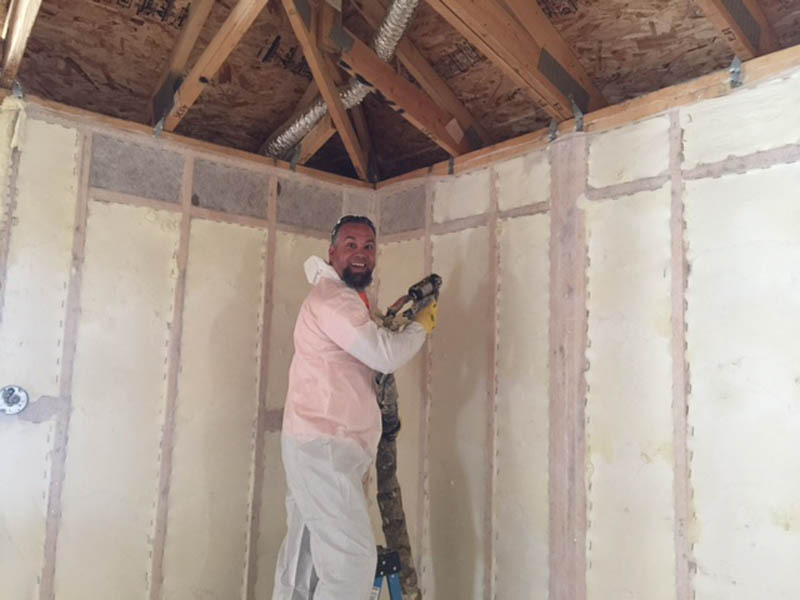 Completely fill and seal every crack – polyurethane spray foam’s expansion properties allow it to expand up to 100 times its original size to completely fill every crack in walls, ceilings, and crawlspaces for total insulation and air sealing. 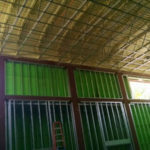 Spray foam stays in place – spray foam insulation does not settle or sag over time ensuring total continual performance. As such, you can expect a long life of consistent service from it. 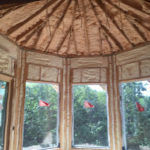 Reduce allergens in your home – spray foam’s air sealing qualities help reduce the amount of dust, allergens, and pollutants entering your home. It even prevents mold or bacteria growth, thanks to its water resistance. Reduce energy loss and waste – spray foam will reduce heating and cooling costs by up to 50%. As a historically effective insulator, it could potentially make a big difference in energy expenditure. Won’t attract insects or rodents – polyurethane spray foam does not provide a source of food for rodents, termites, etc. the material also doesn’t make good nests. Gaps and leaks are the main causes of expensive heating and cooling costs. According to the U.S. Department of Energy, HVAC takes up 56% of a home’s energy usage. 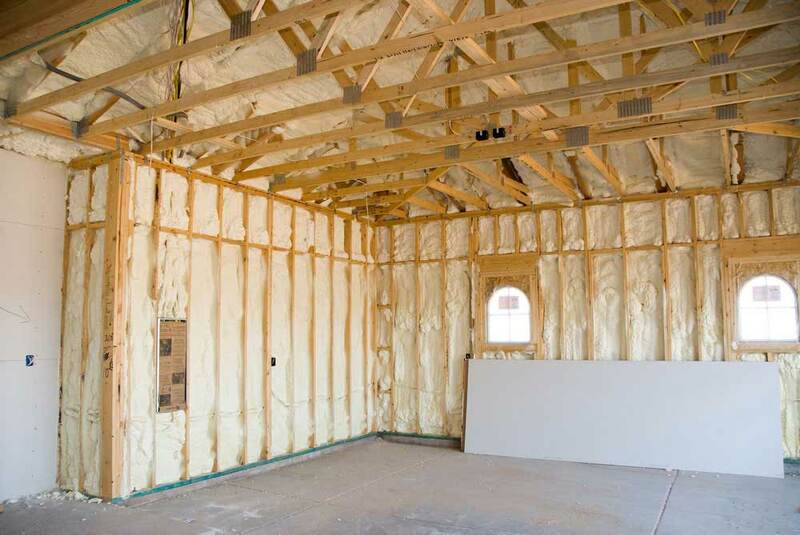 With spray foam insulation in Kansas City, your HVAC sizing could be cut down to 35%. Spray foam installation fills spaces completely. It not only creates effective insulation, but becomes an efficient sealant, too. Because it’s made of foam, it expands to fill the whole cavity, leaving no gaps in its wake. 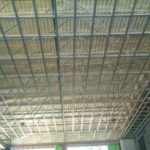 As a versatile insulation and sealant, spray polyurethane foam creates continuous air barriers on the different areas of your home or office. Generally, there are two types of spray foam: closed- and open-cell. Closed-Cell Foam: This is the more common type of spray foam between the two. Denser than open-cell foam, it reduces humidity and features better resistance to water. It prevents the growth of bacteria and mold, which can compromise structural integrity. Open-Cell Foam: While its application is the same with closed-cell spray foam, its effects are different. Because it expands to fill the cavity, it covers hard to reach areas that closed-cell spray foam can’t. This, however, is less common because it doesn’t provide water resistance and is more pervious to vapor. Call us today for more information, or to request a quote on spray insulation in Kansas City. Also check out our FREE download comparing Window Replacement Vs. Insulation costs by clicking the image below!